Volleyball is now ranked as the 5th most popular sport in the world. Even though it may come across as lighthearted, it’s extremely competitive and has quickly become a go-to sport for younger generations across the world. What used to be thought of as a simple beach past-time has now become a widely played team sport that even dominates the Olympics. The sport alone isn’t the only thing that’s grown in popularity however, as volleyball betting has also taken flight in recent years. Just like any other sport, there are a range of volleyball championships and competitions that you can place your money on. Due to the increased interest in the sport, the betting industry has had to develop their offerings to meet the demands of punters. One thing I’ve personally noticed is that some betting sites have made more options available for their users than others. For example, I did some research and found the BetVictor volleyball betting page which offers live betting, odds on upcoming games and different championship matches. 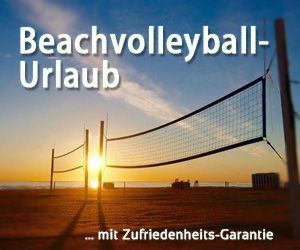 There are some sites which don’t offer the live option and some which don’t offer much volleyball betting at all. Thus, if you want to get into volleyball betting, you first need to find a site that offers you a plethora of options. Once you’ve done this, you can start to develop your understanding of volleyball betting and how to invest your money wisely. The following is an explanation of the different aspects of volleyball betting, and what you need to do to master each one. If you’re looking for the simplest volleyball market to get involved in, match betting is the best place to start. Here, you will only bet on which team is expected to win the game. Bookmakers will establish which team would be the first-choice for the majority, and thus offer lower odds for them. If you select these teams, you’ll be more likely to win but you won’t make much money at all. Consider the likelihood of the underdog being victorious and place your money with them if you think they stand a chance. So, Why Should You Bet on Volleyball? Professional volleyball is as easy to understand as the amateur version that you may have played yourself. You will quickly pick-up the game and soon become an expert. 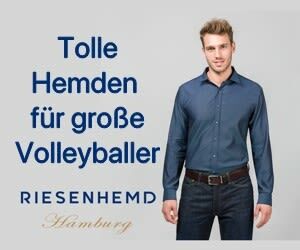 The uniqueness which differentiates volleyball from other sports is that you can bet on it all year round. Because of this, the bookmakers’ offers take interesting turns in different months of the year. The popularity of volleyball has propelled in recent years. Therefore, bookmakers are now offering a comprehensive range of betting odds on all aspects of the sport, which opens plenty of opportunities for you to make decent profits. You can turn volleyball’s comparatively low coverage into an advantage by doing thorough research to gain an edge over other punters. Volleyball leagues are a great way to bet on teams that are written off by the mainstream analysts, but are ones that you believe will play well. You can also get high odds on them and if they start their campaign well, you will be making profits way before the season ends. Volleyball is one of the top 20 most wagered sports. If you want to seriously get into volleyball betting and become an expert at it, you must understand the role of the bookmakers and their operating methods. Most bookmakers offer many features, such as live feeds, to help you earn profits from a range of different markets. However, they can also limit your long-term profits through high margins on selected markets. You should also be aware of the fact they have the power to restrict, or close your betting account should you prove to be a consistently successful punter. Remember, earning steady profits from volleyball betting is not about getting the fundamentals right, but applying what you’ve learned to betting markets to identify the value of your bet. If there’s an upcoming volleyball competition, place your bets before it begins in order to make the highest profits. An example of this would be betting on which country will win the Olympic gold medal before the event has begun. The odds on future bets depend on whether a country is considered to be the favourite or not. The bookmaker will set a value and it will be up to you to predict whether the number of sets won by the team will be over or under that value. This format is very popular among punters, as the number will be fixed in a way that would allow both selections to have comparable odds. Betting on the handicap occurs in mismatched games where one team’s skill sets are considered superior to their opponents. When this is the case, you will be offered a handicap of sets to neutralise the bias. These will be added to the final result. Set bets are placed only on the outcome of the first set, or a particular set of the match. For example, you may bet that your team is going to secure the first set. If they pull it off, you will win even if your team eventually loses. If you would prefer to try and double your profits and bet on a range of matches, then try using a volleyball betting accumulator. If you didn’t want to risk too much, you could for example bet on the most predictable winners of five different games. If you win your accumulator, your profit won’t have skyrocketed but it will be a lot more than if you’d have bet on the expected winner of just one game. Ultimately, adding more stakes will raise your odds accordingly. You can usually place up to twelve games/winners in your accumulator, but you are only allowed to pick one from each game. Even the most successful volleyball high rollers began with only a small degree of knowledge, but a never-ending enthusiasm for doing it strategically. For you to develop strategies that can separate valuable betting opportunities from the ones that are not worth the investment will take considerable time and discipline. However, if you remain focused and consistent, the rewards could be substantial.